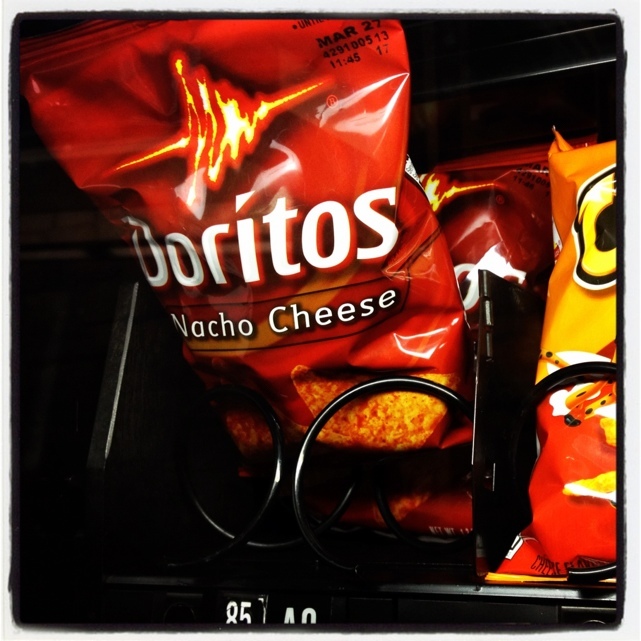 I just stumbled upon this bag of vending machine Doritos earlier. At first glance, it seems to be your normal (but over priced) bag of chips. Upon closer inspection, I realized this could be a double or nothing snack gamble I needed in my life. The bag is awkwardly misplaced between rungs. If purchased, the chips will either: Not come out, come out OR be pushed out with the bag behind it (2 for 1). Two bags, one or none. Is 85 cents worth the risk?